Sundays are for taking it fairly easy... as in brunch with friends, maybe watching a football game (or 3) and generally keeping things casual. You don't want to look completely dressed down, though. A cute ankle bootie with a block heel will pull together most looks, whether you're wearing jeans and your favorite team's jersey or leggings and a chunky sweater. 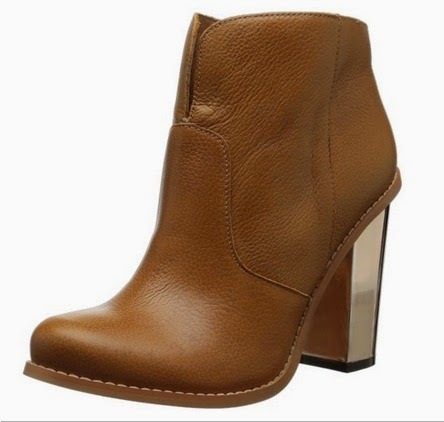 This Raylin Bootie by Kristin Cavallari for Chinese Laundry is great option. It has an everyday feel, but the gold block heel add some umph (and makes it more comfy than a stiletto). Days like this, you want something warm to sip (especially if you've been screaming at the TV). If you want something more exciting than your normal Irish coffee, try the More Precious Than Gold, featuring Milagro Anejo. (No judging Irish coffee. We LOVE Irish Coffee.) 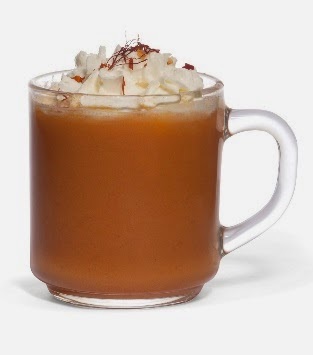 It's creamy, sweet, and who doesn't love a pumpkin drink? If you can't get your bartender to whip this up for you, just ask for the anejo in some pumpkin flavored coffee... or even regular coffee with honey. Either one will still do the trick... they just might not match your booties as well. Add all ingredients in small pot and heat up till almost boiling. Pour into Irish coffee cup or mug. Top with whipped cream and garnish with saffron.